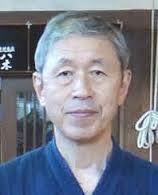 Hayashi Kozo sensei from Osaka is currently in the UK. During a weekend seminar and several teaching sessions he made some very interesting points about ojiwaza. For a start, he emphasised how important oji techniques are, not just for advancing to the higher dan ranks, but also for winning shiai at every level. No matter how good you are at shikake waza, if you don’t include ojiwaza in your keiko you will miss half of the opportunities to attack. He focused on the ideaof going forward as if for a shikake strike for many oji techniques. Suriage-men as a prime example. If you can make your suriage with the shinogi of the shinai’s datotsubu you should be able to move at full forward velocity using fumikomi-ashi as you return the men attack. I have quoted the advice of many teachers in previous posts and they all invariably stress that you should control the opponent and timing of his shikake attack, not just wait and respond. This approach demands an attacking mind. 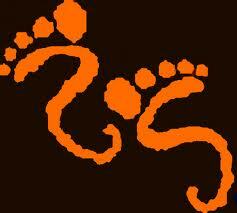 The addition to this thought is that you should also move forward with your feet and body in total commitment. Degote is another opportunity for a fast forward attack, launching yourself as soon as you see your partner’s kote starts to twitch upwards. With techniques such as nuki-dou, kaeshi-dou or nuki men or kaeshi men you have to give your partner space to come forward. With these we keep with the standard suriashi footwork and on-the-spot zanshin at the time of striking. Hayashi sensei suggested however that by using a strong diagonal step followed by hikitsuke in the required direction you could give yourself a better chance to strike with accuracy because of the increased distance. He also made the point that dou need not be restricted to the convention of hitting the right dou and moving to the opponent’s left, but that you could also hit right and move right, or hit left dou and move left or right as long as you made strong contact between the target and the shinai’s monouchi . One other interesting recommendation was the use of hidari-dou against jodan players as many of them pull the right arm down blocking their dou as they strike. At the same time their left dou is open allowing you to hit with nuki or kaeshi dou. I am sure that most of the people attending these sessions came away with some new ideas to put into their keiko. 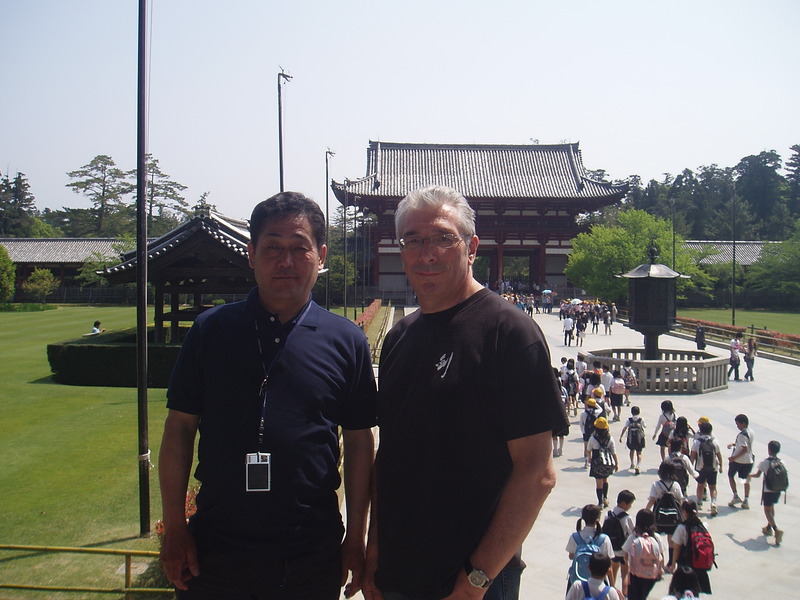 Even though I have known Hayashi sensei for many years and trained with him on numerous occasions, seeing him in a formal teaching situation gave me some food for thought. So jodan players watch out. I am working on my hidari-dou. It is easy for kendo teachers to get into a rut. We all have our favourite drills and exercises and there is a very real danger that every kihon session is a repeat of the last. The obvious argument against this is “if it works why change it”. I would suggest however that by varying our training routine we stop students from getting bored and therefore keep them more engaged. An example is suburi. Many clubs regularly follow warming up exercises with the same suburi every session. They do the same number of repetitions of the same sets of jogi-buri, naname-buri, shomen-suburi, zenshinkotai-suburi and hayasuburi. As a result I often see people coast. They just go through the motions of swinging the shinai backwards and forwards without concentrating. To my mind it then becomes just a continuation of the warm-up and misses out on its main purpose, which is to improve ki-ken-tai-itchi , posture, tenouchi and hasuji. As an antidote I started the New Year practice at Sanshukan with an idea borrowed from Chiba sensei. This time we worked in pairs with motodachi receiving on a shinai held above his head and counting to two hundred. Kakarite delivered that number of strikes whilst working on making the attacks both relaxed and sharp. The fact that we were doing something different was as valuable as the exercise itself and the next set of drills looked better than usual when performed by kenshi with tired shoulders. It is my opinion that we should regularly vary all of our drills. Kirikaeshi can be performed fast or slow, with suriashi or fumikomi-ashi. We can change the number of strikes, do it backwards and forwards across the length of the dojo, even swap men for dou strikes or combine them both. The same goes for most drills. Rather than always following a set pattern of shikake waza and ojiwaza, vary the routine. Have a session where you just try kote attacks and work on the relevant counter techniques, then devote another day to practise only men and oji waza against men. The objective with all these exercises is to focus on each technique and for everyone to develop and perform it to the best of their ability. There are techniques that some people will find harder than others, but even if it is not their favourite, they should work on it and earmark it for more effort in the future. Everyone wants to improve their kendo, so as instructors we need to make training interesting to keep people engaged. Mumeishio dojo was fortunate to receive a visit last tuesday from Sueno Eiji sensei, hanshi hachidan and former All Japan Champion. Sensei instructed a kihon session before taking on all comers for jigeiko. He made a number of important points over the course of the evening and as per previous visits commented on the importance of correct cutting. After giving everyone the opportunity to try the ojiwaza of their choice against men and kote, he demonstrated how to control body movement so that they benefitted from the attackers forward momentum. Although most oji techniques are delivered moving forward, there is no need to continue across the dojo for numerous steps as in the case of shikake waza , instead it is enough to make a sharp attack and then to immediately assume zanshin, letting your opponent do most of the hard work. Sueno sensei also talked about the preparation for ojiwaza and compared the difficulty of waiting and trying to counter your opponents timing rather than using seme and hikidasu to make him attack at a time when you are ready for him. He demonstrated applying and releasing pressure so that the attacker is drawn into your space and timing and therefore is unable to escape your trap. Hi final comments after jigeiko however were much more concerned with basics. “The movement of our hands in kendo should be up and down”. He moved his open hands in a straight line from the wrists so that fingers were angled first up then down. He then showed us how many people were using their hands, and that the right hand was either pushing over to the left, or the right wrist was twisting inwards so that the shinai was either at an angle or turned to hit with the side edge. He also inferred that using our right hand in this way was likely to spoil our posture and balance. So simple but extremely valuable advice – hands should be soft and flexible and like our elbows and shoulders move in a straight up and down motion, allowing us to hit the target accurately and sharply without wasting energy. Thanks from all at Mumeishi to Sueno sensei. We look forward to your next visit. When I trained last month in Osaka Shudokan, Hayashi Kozo sensei introduced us to a method of practising kiri-kaeshi slowly with suriashi footwork. He explained that the objective of the exercise to learn to use our shoulders in a relaxed way whilst concentrating on correct tenouchi and hasuji. Since returning to the UK I have copied this in a number of our sessions. We start with 3 or 4 repetitions at this speed then build up to normal speed kirikaeshi before going on to other kihon drills. Watching people go through this routine, it is fairly obvious that most of us can make big cuts correctly in slow motion, but when we make the action smaller or faster, shoulders tend to stiffen and we make too much use of the strength of our right arm. This is particularly true of kote, where many people keep their left hand static and use just right hand power to deliver the strike. I have even seen examples where the downward force of the strike is exaggerated by also pushing the left hand down. Preventing such bad habits is the reason for constantly coming back to basics. 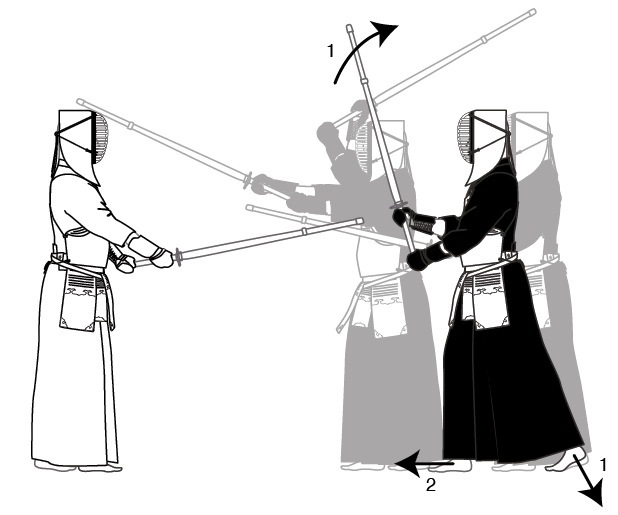 We need to train so that we can strike with relaxed shoulders, elbows and wrists and add snap with tenouchi. Whether we are cutting kote, men or dou, large or small, fast or slow, we need to do so with the timing of one; lifting and striking in the same movement. This works in exactly the same way for shikake and oji waza. To strike men all you need do is push your left hand up and let gravity do the rest. For kote the shortest route to the target is best, but don’t lose sight of the fact that the cut is made with a forward movement from the left hand, not a downward movement from the right. If your shoulders and arms are relaxed you will feel the impact of a successful hit not in your hands but in your abdomen as you move forward. Kirikaeshi is not the only way to achieve this, but we need to practice cutting in a fluid relaxed way. If not through kirikaeshi then through suburi or repeated strikes against a partners shinai. We should start big and then if we can hit in a relaxed way then we can make the movement smaller. As an afterthought, small does not necessarily mean quick. I have seen accomplished kendoka make a big men strike in less time than a less experience kenshi needs to make a small kote. I have been asked to put some thoughts together on the theory of creating opportunities to strike in preparation for next weekend’s Watchet seminar. With kendo being such a well-trodden path this requires very little creativity from me; it’s more a question of opening the kendo books on the correct page and reading what our predecessors had to say on the subject. While these terms sound suitably esoteric, if you rearrange the order and group the techniques that represent these categories, you get a basic common-sense list of which waza work in which circumstances. Ki wo korosu – equals seme. Using your whole body and more importantly your mental strength (kizeme), you push firmly into your opponent’s space and destroy his mental composure, creating the opportunity to strike. 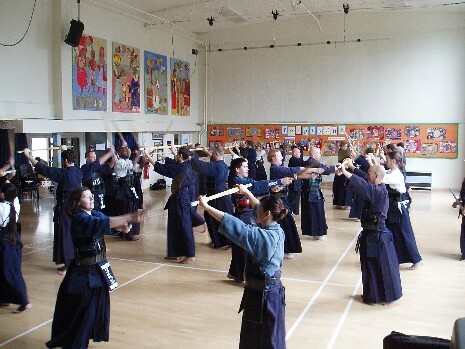 Ken wo korosu – You break his kamae by moving his shinai with your own. Ways to do this include harai, osae, uchiotoshi and maki waza. Effectively you sweep, push, knock down or twist his shinai away from his centre, leaving the door open for your attack. Waza wo korosu – This covers the whole range of oji waza. You make him attack and take the opportunity to destroy his technique and beat him with your own. To do this you can select from a menu of debana, suriage, kaeshi and nuki techniques. Which you use depends on how advanced his attack is before you strike. Debana waza is used when he starts his attack, suriage waza when his shinai is on it’s on its way down and kaeshi and nuki techniques when his cut is almost there. Using the sansappo to order techniques in this way helps me to put them into a framework, but there are a number of other useful ways to understand the theory of timing and opportunity. The concept of Sen, Sen no Sen and Go no sen is equally effective. This relates to striking before your opponent does, as he starts to strike and finally after he starts his attack. Another way to think about it is by putting yourself in your opponent’s place. In this case the Shikai or four sicknesses of surprise, fear, doubt and confusion (kyo, ku, gi, waku) can be exploited as attacking opportunities. With kendo’s long history, successive generations of teachers have given us the basis to understand how and why we do things. The challenge for most of us though is not to understand the theory but to put it into practice. In this case the answer is “more keiko”. A comment on an old post on suriage men arrived yesterday. This plus a session that I ran in the dojo this week on ojiwaza invigorated my interest in exploring the subject a little more. At the risk of confusing readers, one of the biggest problems we encounter in ojiwaza practice drills is in starting your counter attack before the opponent starts his strike. Because it is a drill we obviously know what is coming, so we are tempted to attack too early. I often see what should be suriage men turn into debana men. This last point applies equally to drills and to jigeiko and shiai. If from chudan you squeeze the shinai gently with the little finger of you right hand, your point will move towards his left eye. More often than not this will make him attack your men at a time when your energy is focussed and you are able to respond immediately with suriage men or kaeshi dou. Move the shinai slightly to his right and he is likely to attack your kote leaving you set up to make kote suriage men. One effective way is to practice oji waza was taught by Chiba sensei. The class forms groups of between five and nine. Everyone takes a turn as motodachi and the rest of the group are split into two smaller groups one facing him and one behind. Each makes either a men or kote attack, either at random or the group in front attacks men and the group behind kote. Motodachi faces each in turn, turning from group to group and makes the appropriate oji technique, remembering to invite the attack in his or her own timing. The key point is to control the timing of the attack by holding and breaking centre in the way described. The principle in most martial arts is that you use your opponent’s force to defeat him. In Judo or Aikido you make him push and then use minimal effort to break his balance and throw him. Many people seem to forget that this also applies to kendo. Because in kendo we set out to strike our opponent, we think about using footwork that gets us to the target as quickly as possible. This for many people means one thing – big steps. What many people often ignore is that there are two of you involved in keiko or shiai and you need to adapt your distance and timing to reflect that of your partner and that you can take advantage of his effort to beat him. This was demonstrated very clearly in a seminar last year by Chiba sensei and is something that I have become increasingly conscious of. I have noticed however that a number of people seem to take a “one size fits all” approach to footwork. If your opponent is static or going backwards, you need to first move into your own attacking distance and then take a further step as you make the technique. If he retreats as you make your initial seme, you may well need to cover a distance of up to a metre before making contact. On the other hand if he is moving forward, he is doing most of the work in getting to a distance where you can make a useful attack. To take advantage you need to make only a slight forward movement. 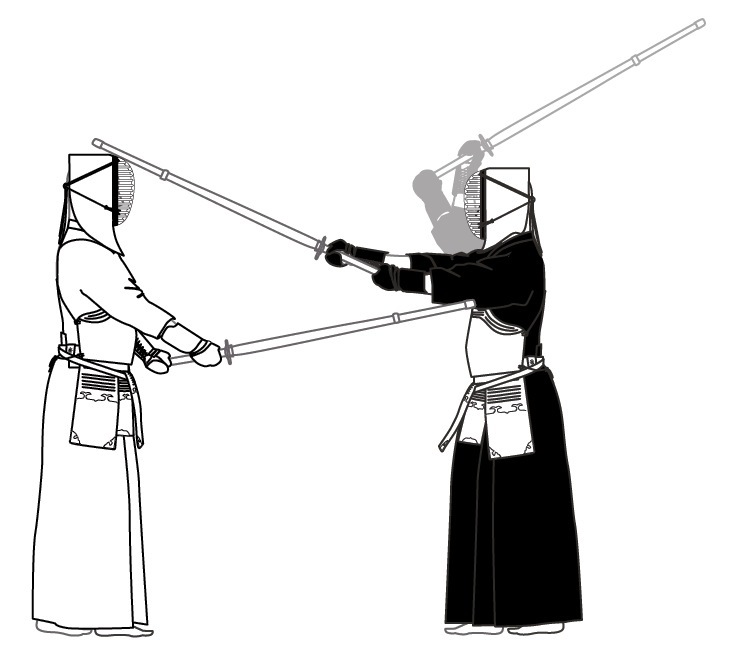 It all seems fairly straightforward and logicall but I see many situations where both players take big steps towards each other at the same time, resulting in an invalid strike made towards the tsuba end of the shinai, which as we all know, is invalid. By stepping in, not only is your opponent supplying most of the forward motion for your technique, he his supplying much of the forward energy, so typically your technique needs less force than an attack against an immobile partner. Typically you would use debana or oji waza in this situation. Using debana men as an example, you need to be ready to move with pressure on the ball of your left foot. As your opponent steps into distance, you just push off from your back foot and make a small crisp men cut. In these circumstances, your step probably needs to cover a distance of no more than 15cm. The force of the attack can stand to be 50% lighter than a shikake attack, as your opponent is supplying the forward movement. As long as your technique is finished cleanly with good tenouchi, it should be judged as ippon. For degote, distances are even closer and you may need to make fumikomi on the spot without moving, to maintain the correct distance.